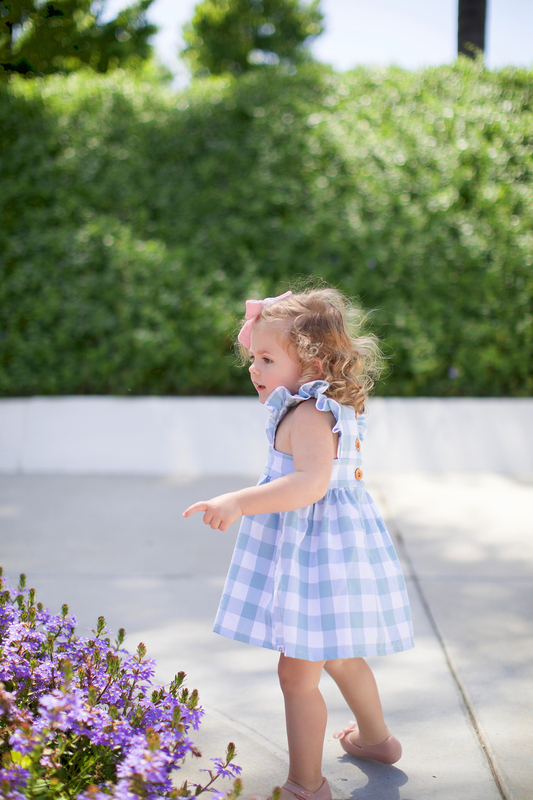 Isla’s Dress: Wren and James | Isla’s Shoes: Mini Melissa | Isla’s Bow: Wunderkin Co. 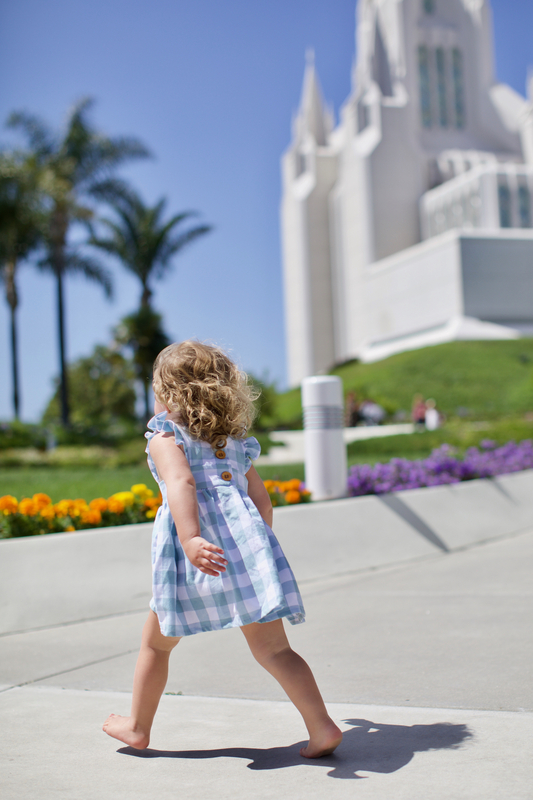 While we were in California we drove to San Diego on Mother’s Day to go to church and walk around the temple grounds. 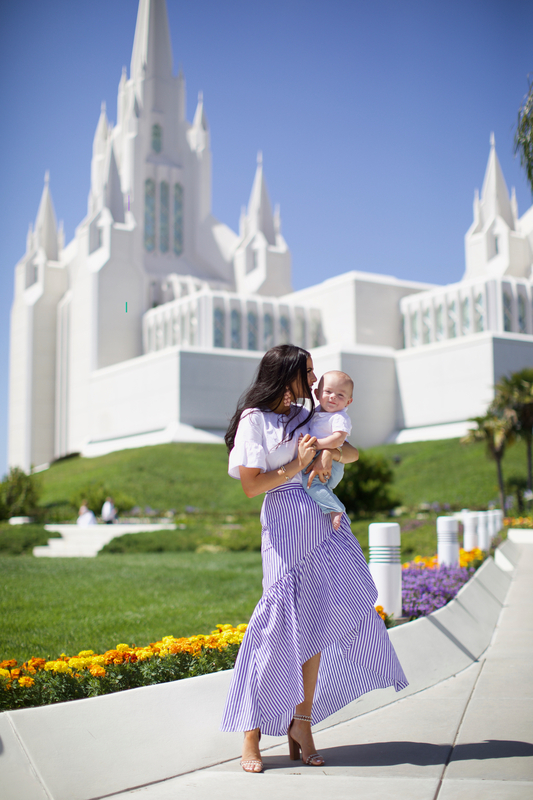 I’ve been wanting to see this temple in person since I was a little girl (I used to think it was Cinderella’s castle) and it was so special to be able to experience it for the first time with my little family. It’s even more stunning in person!! Such a wonderful photos! Couldn’t be more nicer Mother’s Day! That skirt is so beautiful! 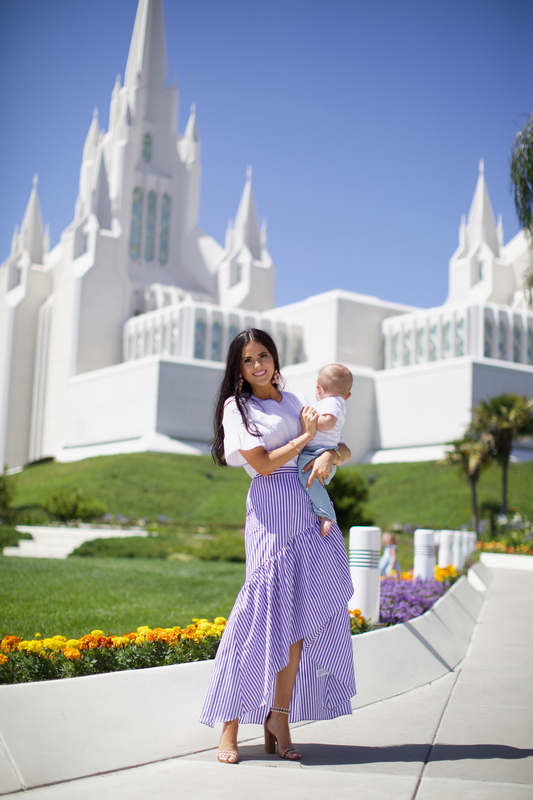 And that temple is gorgeous! I’m not religious but I love visiting places like that, I love the art, the architecture, the feeling of love and devotion in the air. It’s even more gorgeous in person, if you can believe it! Beautiful and love your MDS stripes!! Such cute photos! I love Isla’s little outfit, so darling! What a beautiful church! Happy Mother’s Day! These photos are so precious, Rach! Jackson looks so much like Isla when she was little, so adorable! I love all her blonde curly hair and her little outfit is just too cute! I’m glad you enjoyed your Mother’s Day, you looked absolutely gorgeous! Thanks so much for sharing and I hope you have a great day! Your skirt is seriously amazing! I love Isla’s dress. So adorable! 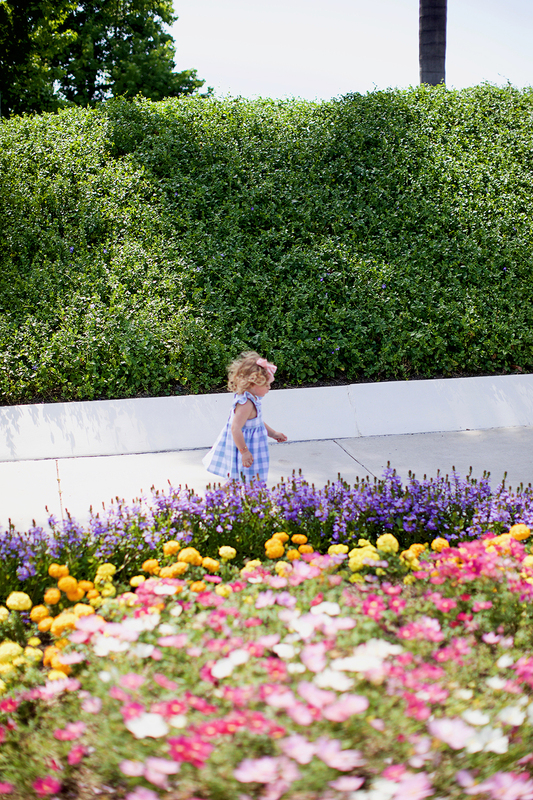 Looks like a wonderful Mother’s day! I can see why! 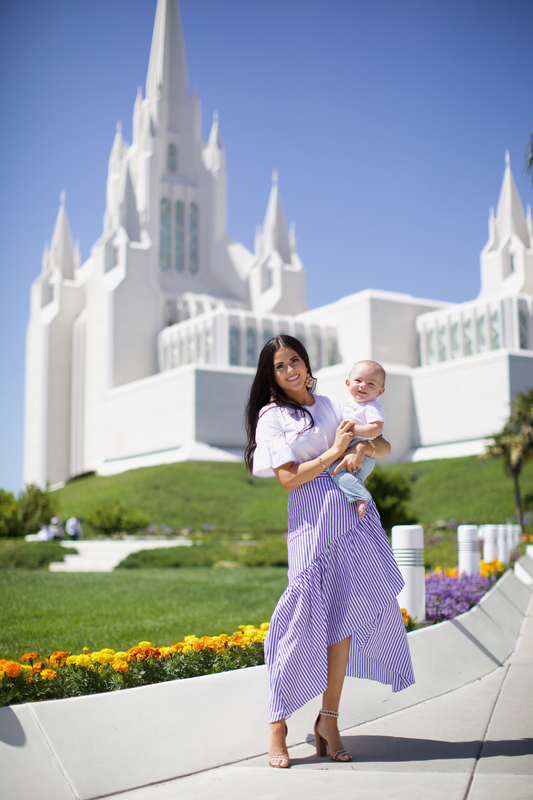 That temple is absolutely stunning and I love that the blues in your outfits complement that. It’s even more gorgeous in person! This backdrop is unbelievably gorgeous! 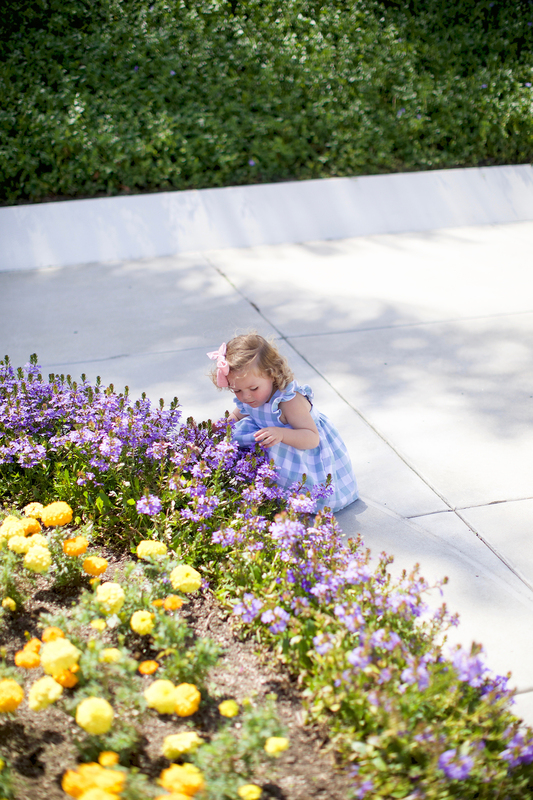 And your little girl looks like a doll—too cute! So so adorable! I love their age gap – it looks like she totally entertains Jackson and his little smile just can’t be beat. :) What great photos for a wonderful day!!! Jackson loves watching her!!! She’s the best big sister! Your skirt is so beautiful and so is your family!! Hope you had a lovely Mother’s Day. You look GORGEOUS and so happy in these photos! Hope you had a wonderful day! What sweet photos! The kids look adorable and your little family looks so sweet. I’m glad you had a great day with wonderful memories made! Love your outfit! Hope you enjoyed your trip. these are the cutest pics ever! so love this gorgeous skirt! These are such pretty photos! Loving that skirt, it’s adorable! Love, love love this look so much! Little Isla is so cute! I love his little smile!!! Thanks Lex! Yes! 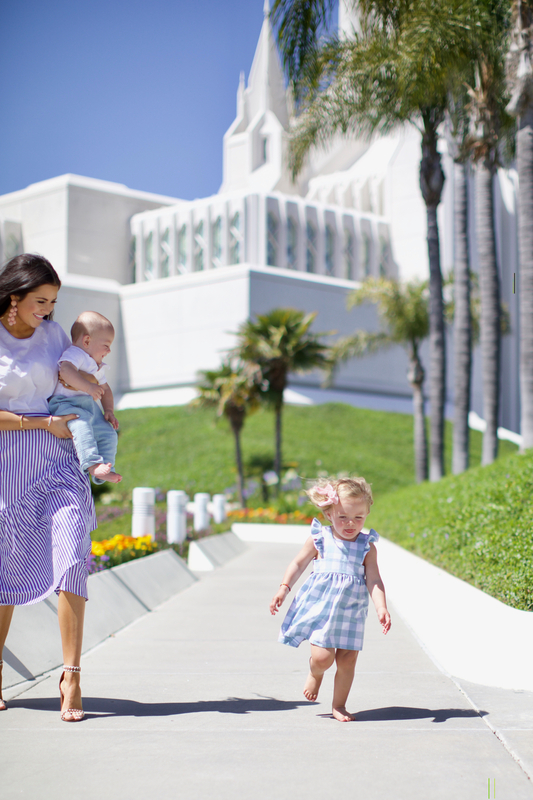 As soon as I moved to San Diego, I thought – how amazing it must be to be a mormon girl growing up in La Jolla and that’s your church? Such a cute outfit! Love the striped skirt. 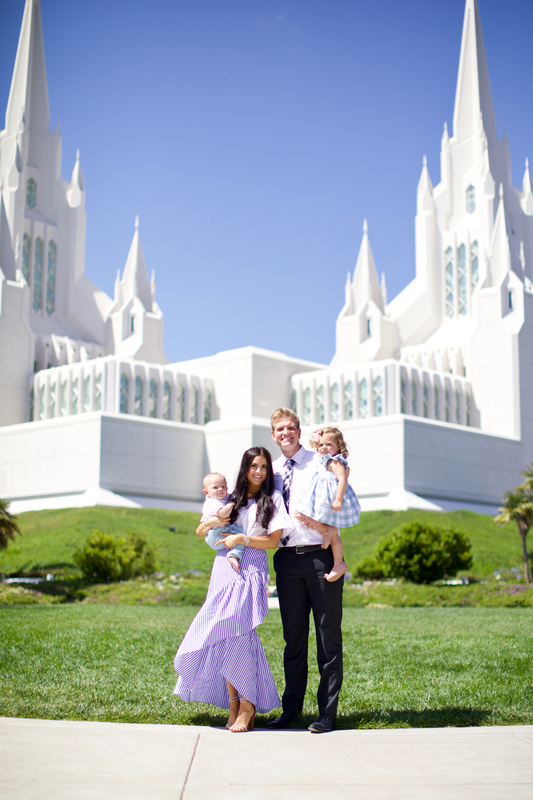 Oh and that temple looks magical!! SO gorgeous and this skirt is so pretty! 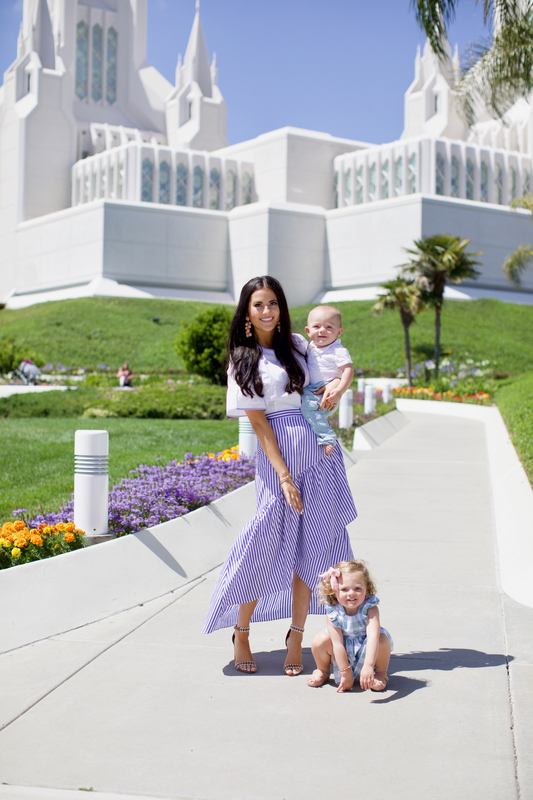 I’m from San Diego and my husband and I were married in this temple! It’s just as beautiful on the inside – it’s celestial room is one of my favorite in the world. I bet! I love the look of it, and even more beautiful in person! Yay! I was married in this temple! Just have to tell you how impressed I am that you guys always seem to go to church while on vacation. That’s hard to do sometimes and I admire it! Plus, this outfit is spring perfection! 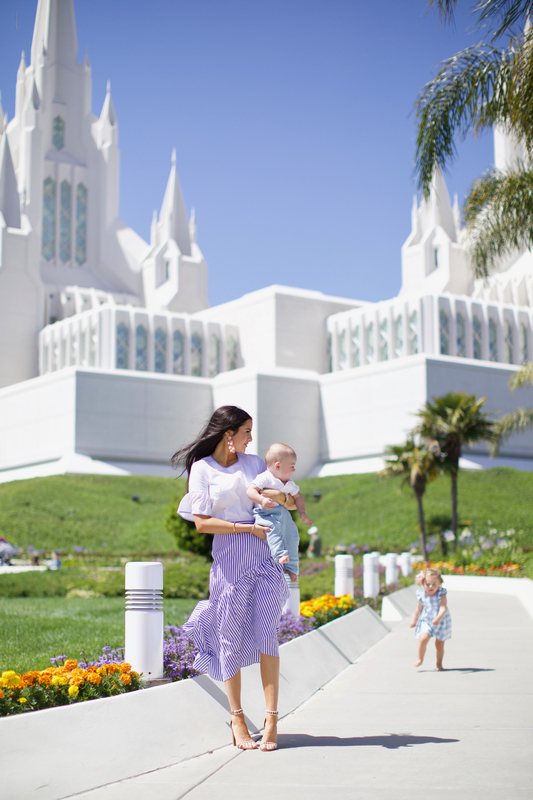 It’s a gorgeous temple!!! And thank you. We love going to church every Sunday as a family so we try to go even when we are away! It’s a fun experience actually :) And I love that the church is the same no matter where you are!